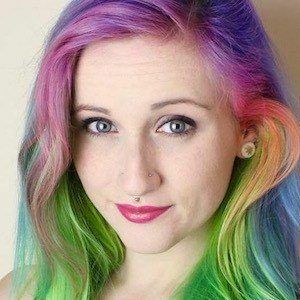 YouTuber who creates alternative beauty, hair, and fashion videos and tutorials for her channel Tessarr Goad. She created her channel in 2007, but did not begin posting videos until 2010. Her YouTube channel has over 330,000 subscribers. She is from England and has a sister. Like fellow YouTuber Morgan Joyce, she often posts content related to body modification.